Dr. Adrienne Wootten believes very much in doing, not wanting others to do things. She's a climate scientist and an expert in climate modeling, downscaling, accuracy and uncertainty in climate projections, and applying projections to applications and decision making. While she's a researcher, Adrienne also has a long history of engagement from the North Carolina State Climate Office to her current position at the South Central Climate Adaptation Science Center (SCCASC). In her role at the SCCASC, Adrienne works in a dual role of research and engagement. Her current research focuses on the accuracy and uncertainty associated with climate modeling and downscaling, with added emphasis on the use of climate projections for impact assessments and decision making. Adrienne also assists with the tribal liaisons and other SCCASC staff with outreach and engagement and serves as a liaison between the SCCASC and the NOAA Geophysical Fluid Dynamics Laboratory (one of the SCCASC consortium partners). 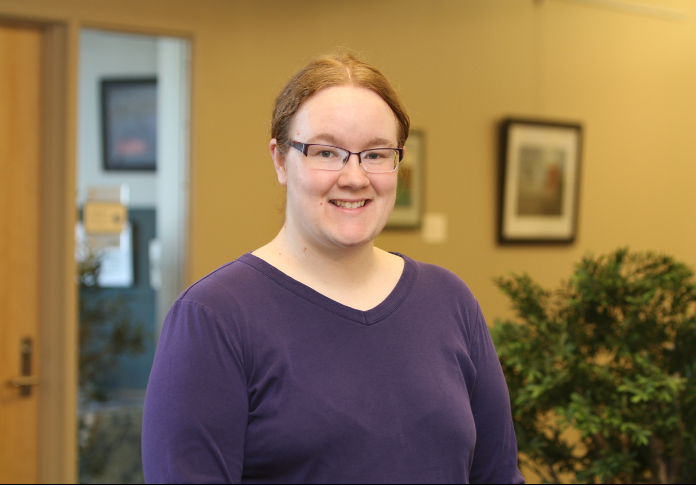 Her work helps connect stakeholder needs to climate modeling efforts, and Adrienne uses that joint knowledge to help guide the use of projections in decision making. Adrienne is always happy to engage and help empower communities, tribal nations, and others to meet their challenges and decisions in a changing climate. Dr. Wootten also serves as the Editor-in-Chief of the Early Career Climate Forum (ECCF). The ECCF is dedicated to early career professionals and students involved in climate related work, from those who study physical climate science to social science and communication. The ECCF promotes communication and collaboration among students and early career professionals involved in climate related work across the United States. The ECCF exists to be of the people, by the people, and for the people who are early in their careers in climate. We exist to support your efforts and to help early career folks in climate support each other.